On the eve of Women’s History Month, Philadelphia launched one of ChIPs newest chapters. It’s hard to upstage Philadelphia’s latest architectural crown jewel, the Comcast Technology Center – a 1,121-foot skyscraper with 60 unique stories. However, on February 21, 2019, it wasn’t only the building’s buzzworthy features that lured guests inside. It was the prospect of an evening of networking and a lively panel titled “Breaking the Mold” that drew more than 120 guests. 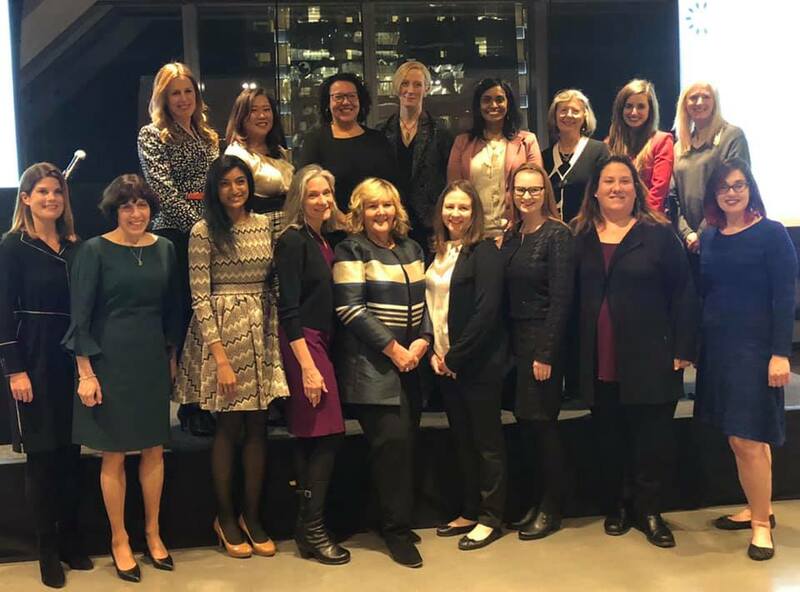 Introduced by Chapter Leader Heather A. Faltin, Assistant General Counsel at Comcast Cable, Karen Royer – Executive Director of ChIPs – moderated the evening’s panel –– on the challenges and successes of established women in the legal and technology industries. Panelists included Kimberley D. Harris, Executive Vice President at Comcast Corporation, and General Counsel at NBCUniversal; Elizabeth Joyce, Senior Vice President and Chief Information Security Officer at Hewlett Packard Enterprise; The Honorable Sue L. Robinson (former U.S. District Judge for the District of Delaware) of Farnan LLP; and Vaishali Udupa, Vice President and Associate General Counsel, IP Litigation and Policy, at Hewlett Packard Enterprise. Closing remarks were given by Chapter Leader Sri Atluri, IP Litigation Counsel at Hewlett Packard Enterprise. 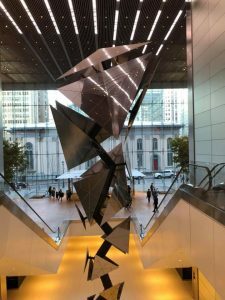 As if the foregoing wasn’t enough to entice people to attend the launch, 30 lucky attendees (first ones to register) toured the new Comcast Technology Center prior to the event. The gathering was sponsored by BakerHostetler, a longtime supporter of ChIPs. The Philadelphia Founding Committee and Steering Committee sweated over every component of the kickoff event, right down to sourcing the perfect gift for participants (handmade ceramics from MudGirls Studios, a non-profit pottery studio in New Jersey that provides opportunities to economically disadvantaged and at-risk women through training ). “We paid attention to every detail,” quoted Nancy Frandsen, one of the Philadelphia Chapter’s Co-Chairs. That hard work didn’t go unnoticed. Attendees left the night feeling energized and excited for the women in the Philadelphia community.